Audience members under 14-years of age are strictly prohibited from attending the concert in the “standing” zones. When you arrive at Rajamangala Stadium, please make sure you have your tickets, identification and your booking reference. Audiences must enter with a person whose name was indicated on the tickets. We strongly encourage you to use public transport to get the venue. There will be heavy traffic on Ramkhamhaeng Road which has construction on the road. Cars are not allowed to enter or park in the stadium. The organiser recommends NOT to bring your own vehicles, as there is a construction on the road and more vehicles will cause congestion. Turnstiles open at 4:00pm. We are conducting enhanced checks of tickets at the venue to ensure the ticket holder ID matches the name on the ticket, and we strongly recommend that you arrive early. What do I do when I arrive at the stadium? If you’ve got all these, you’re good to go! Look out for your gate number on your ticket and head towards that gate. There is a map in this email with all the gates, but our stewards will be happy to help with directions when you arrive. You will need to show our stewards your identification with your tickets. It is really important that your name is the same name that is printed on the booking. 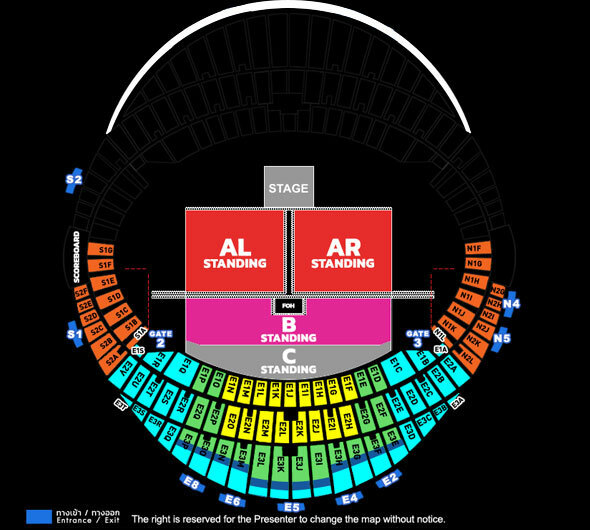 If there are any differences please contact your ticketing agent as soon as possible, or head to the information counter. If you have sold your tickets through Viagogo, Stubhub or any other secondary site – (apart from Thaiticketmajor) these buyers will not get in to the concert. You should inform them immediately. If you or someone you know bought tickets for this show on this tour through either Viagogo, Stubhub, or any other unauthorised ticket site, these tickets will not be valid for entry. No refund can be made. The box office is located outside the Main Entrance A side of the stadium in tents. You can collect your tickets here, and will be able to ask any questions you have about your tickets. The box office will open at 10am on the show day and remain open until Ed Sheeran hits the stage. Can I still buy tickets at the venue? If you are looking to purchase more tickets for the show, you should make your way to Thaiticketmajor box office. This will be the only official place to purchase tickets for the show. Is there an age restriction for the show? Yes, to ensure the safety and wellbeing of everyone at the show, we have imposed age restrictions. Nobody under the age of 6 will be allowed inside the stadium. Furthermore, nobody under the age of 14 is allowed on the pitch in the standing zones, even with an adult. Those 14 and over with standing tickets must be accompanied by an adult aged 18+. What happens if I leave the Stadium? Can I come back? No, if you leave the event, you won’t be able to come back in. Once you’re in, you’re in, so please make sure you bring everything you need with you. If I arrive late, will I still be allowed inside? Yes, latecomers will be permitted entry via a designated turnstile. Please follow instructions from staff on arrival. What security do you have in place? Enhanced security checks are in place on arrival at Rajamangala Stadium, we ask you to please support and cooperate fully so our team can efficiently carry out these measures to ensure your safety and make sure you are inside the stadium in time for the show. We ask that you keep personal belongings to a minimum and only bring your essentials. Please do not bring large bags, as these will not be allowed into the arena. Please note, for safety, surveillance cameras are set up throughout the venue. Can I bring alcohol to the concert? No. Alcohol cannot be brought to the venue. Is there an easy meeting point inside the stadium? Meeting Points can be found at Main Entrance A, and at Main Entrance B. Please note the tall tower at each entrance. I need some first aid, where can I get help? We have several first aid points outside and, on the pitch, which will be recognisable with standard green cross signs. Should you require emergency assistance in the seated area, please speak to a steward or member of security who will contact the medical team. Is there anything I can’t bring into the stadium? Stay hydrated. All the dancing and singing can dehydrate you. Water is available from all stadium kiosks. Please be well rested the night before. Prepare any necessary medication in case of emergency, as well as a rain coat. We recommend you wear comfortable clothes and shoes for hot weather, as well as sunscreen as April is the peak of summer. Don’t buy unofficial merchandise! Use only official Ed Sheeran merchandise outlets. Merchandise booth will open from 13:00hrs onward. sold out South Africa stadium tour in March! 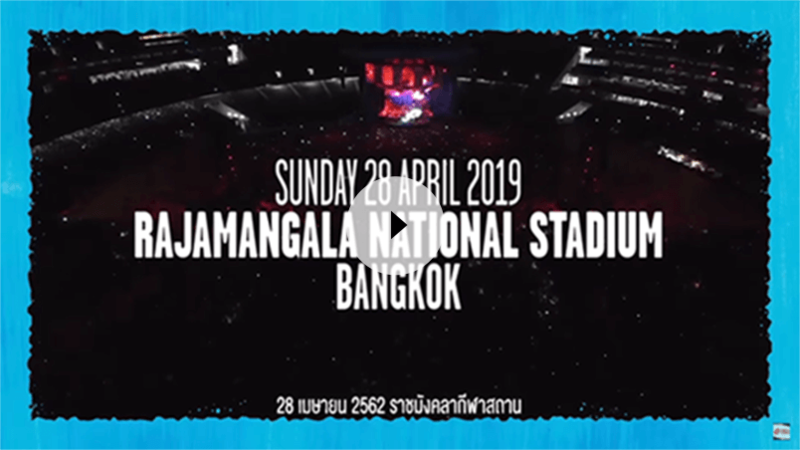 Running through April and May 2019, the newly announced dates will take place in Korea at Songdo Moonlight Festival Park, Singapore at Singapore National Stadium and Bangkok at Rajamangala National Stadium. and go on sale at 10am local time on December 1 at all ThaiTicketMajor outlets or via www.thaiticketmajor.com or call: 0-2262-3838.
that the name of the ticket purchaser is printed on the tickets. Upon arrival, purchaser may be required to provide a valid photo ID that matches the name on the ticket(s) to gain admission. This stops secondary sites and ticket touts being able to resell tickets at inflated prices and ripping off fans. 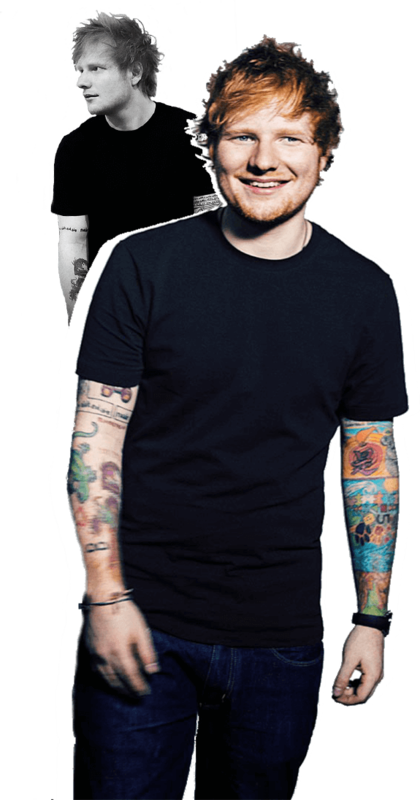 Your ticket purchase constitutes a personal license to attend the Ed Sheeran concert in Bangkok. By purchasing a ticket, you agree to your personal data collection and usage. Your ticket(s) are sold by the promoters directly to the consumer. Any tickets purchased by businesses or traders are in breach of the terms and conditions of ticket sale and may be invalid. You agree to and are bound by the Ticketing terms and conditions applicable to this event. Click here for more information. Tickets can only be purchased from ThaiTicketMajor.com. Any tickets purchased from a 3rd party will be invalid. A valid photo ID or Passport matching the customer name on the ticket(s).